I thought that Rogers had made it difficult to switch Internet service providers before. As it turns out, they were just getting warmed up. Saturday was my cancellation date with Rogers. Why I should owe 30 days notice to a corporation is anyone's guess, but the Rogers service agreement is a wishlist come true that you're obliged to sign to get service. I returned my cable modem, received a receipt as proof of same, and was notified that my connection to the service had been completely wiped from their system leaving me free to connect another ISP (in this case, TekSavvy, who provides their service on Rogers' own lines). I returned home and installed my new cable modem. It connected instantly—to Rogers' Online Modem Configuration tool. Even though I had cancelled service, Rogers' network was still attempting to provide high speed Internet using my new modem. It recognized that it wasn't a Rogers modem, and served me a webpage explaining how to call Rogers Technical Support. Trying to reach the correct department proved challenging. Because Rogers' voice menu support system is tied to your account, it only provides contact options that match the services you are subscribed to. Because I was no longer a High Speed subscriber, there was no way to reach their Internet tech support, not without talking to the first person who answered and requesting that they transfer me to the correct department. In all, I spoke to 5 Rogers Tech Support personnel on Saturday. The most technical piece of tech support I received was from the 5th person, who insisted I must be seeing a cached page in my browser and that I should clear my cache. When I told him I'd already done so he directed me to call TekSavvy, insisting the problem was at their end. There was no acknowledgement, let alone explanation, as to why Rogers networks was still intercepting Internet traffic along a line that they were no longer providing Internet service to. TekSavvy was a pleasure to work with. I was notified that while work orders for service changes went out every 30 minutes, technically Rogers had until 11:59:59 p.m. to release my cable line, despite the fact that I was no longer their customer and they'd confirmed receipt of my equipment. So I waited, disconnecting and reconnecting the cable line, powering down and reinitializing my router about every hour, clearing my cache, rebooting my computer, trying from three different computers and 3 different operating systems. Midnight came and went and Rogers' network had still latched one of their IP addresses to my cable modem. I called TekSavvy back and we spent an hour doing the required system checks to establish that the problem was not my fault. Despite this, I was required to accept Rogers Terms and Conditions for filing a ticket against them, agreeing that I would pay $99 if they determined that the problem was my fault. I agreed. Sadly, I can't charge Rogers $99 for tying up my line and consuming hours of self-provided technical support and line testing. Nor can I charge them for denying me Internet service which I've been paying for since Saturday morning. It's Monday morning now. 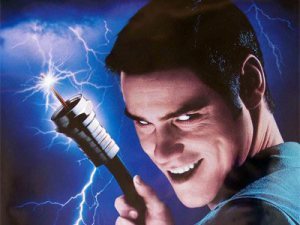 Rogers is still intercepting Internet traffic on my cable line, trying to attach itself to my router, and preventing me from getting the service I'm already paying for through TekSavvy. Any guilt or concern I had about the title of my previous post (Rogers: If We Can’t Have You, No-One Can) is gone. They really do make themselves difficult to leave, and make it difficult to start a new relationship with a competitor. I've kicked them out, and yet they won't stop entering my house. I confront them directly with the evidence and they deny that they're still trying to come into my home, and yet, every time I switch on my modem—there they are. If Rogers was a person, I'd be petitioning for a restraining order right now. Acknowledge that there is a problem, and that it seems to be your fault. If you can't help me, direct me to someone who can. Rogers CSR denial, fingerpointing, and unwillingness to help solve the problem makes me feel like they're the injured party. I'm not their customer anymore, so I'm not their problem. But I am their customer. Rogers is still providing my cable television service. This is Chris at Rogers. I'm very sorry to hear about all the trouble you've had. I just came across your post and am wondering if I can try to help. Would you be willing to contact me privately so I can get more info? If so, please do reach out to me on Twitter @Rogers_Chris or by email to the Redboard email address located under the "Talk to Us" page on our Redboard blog.